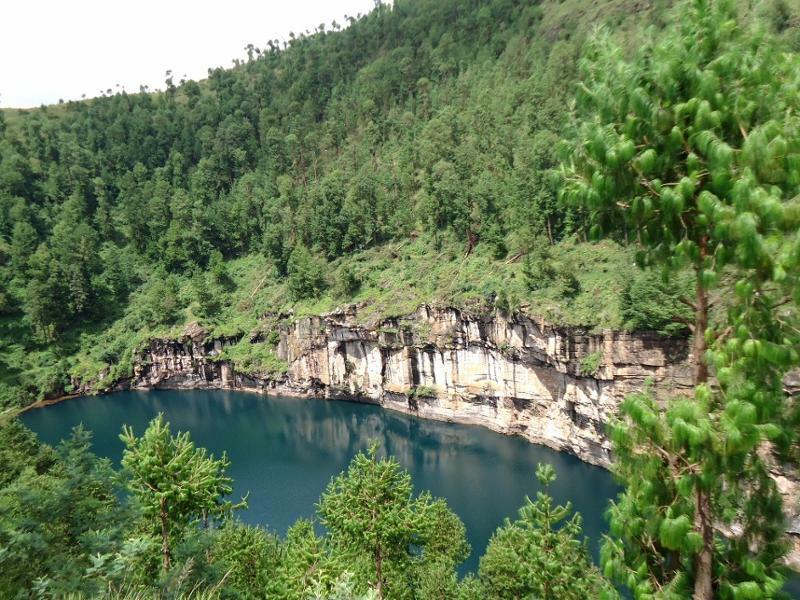 For Malagasy people, Lake Tritriva inspires respect and fear, while for travelers and foreigners it is above all a beautiful natural site to be visited during a stop in Antsirabe. In any case, it is clear that the site is immersed in a particular atmosphere. The guides feel duty bound to remind the fady (taboos) of the lake and to enthusiastically tell the story of the loving couple! The history of Lake Tritriva is intertwined with that of Rabeniomby and Ravolahanta, two lovers who allegedly committed suicide in the lake because of their forbidden love. This fact would have happened during the reign of King Andrianampoinimerina. Before that, no one knows if the little volcanic lake had another history. The two protagonists would have fallen in love at first sight, while one came from a royal family and the other from a modest family. Their union was impossible in the eyes of their respective families and the society of the time. They would have loved each other and sworn that only death could separate them: “Faty no isarahana”. Desperate by the persecution from their family members and the villagers, they would then have wrapped themselves together in a silk cloth before jumping into the lake. After the suicide of the cursed lovers, their souls would have reincarnated in the intertwined trunks of a tree growing on a rock on the shore of the lake. It is said that if cut, the trunks would bleed. The lake (strangely reminiscent of the shape of Madagascar) is sacred, to say the least, turning red when an important event is about to occur in the country, according to legend. It is also said that half of the lake’s water would turn red every time a young girl died in the village of the unfortunate fiancée. And if a young man died in the fiancé’s village, the whole lake would turn red. There was reportedly a third death in the lake, that of a Chinese man who would have committed the forbidden: swimming in the lake after having eaten pork. Featuring beautiful green waters surrounded by a pine forest, Lake Tritriva is nestled at the foot of the eponymous mountain, reaching an altitude of 1,651 m. Before you decide swimming in the lake, you should keep in mind that it is 160 meters deep! You should stay on the shore! The lake is worthy of study, but no significant scientific research has been conducted there yet. To get to the site, you must travel 15 km west of the town of Antsirabe, on the road to Betafo. The site is accessible by car, although bush-taxis (local buses) stop at Belazao, leaving another 10 kilometers of walking distance before arriving. It’s not a bad thing since the hike is quite picturesque! Travelers and some local holidaymakers also mountain bike Mount Tritriva. The splendid landscapes of Vakinankaratra are characterized by red clay houses with thatched roofs, rice fields, vast fields, eucalyptus trees and pines… Once you get there, you can experience different activities including taking pictures, swimming, kayaking, climbing or zip lining. A tour on the lake leads you to a cave inhabited by bats. Your experience would be a memorable one!